A quick view of the most influential metrics in Great Lakes. 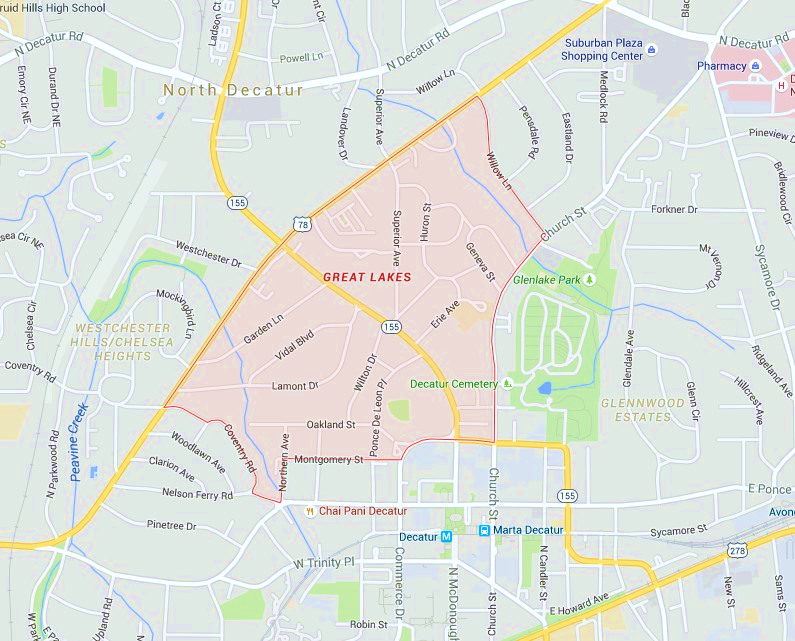 The affluent — yet not pretentious — neighborhood of Great Lakes is centrally located near downtown Decatur. Along with 1920s bungalows, English Tudors, and other charming and historic single-family homes, the area also boasts top-rated Clairemont Elementary, a number of churches, and the Brownstones of Decatur development. As its name would imply, several of the community’s tree-lined streets are named after the Great Lakes. This sought-after location also provides easy access to Emory and the CDC. View our selection of available properties in the Great Lakes area. Check out the latest demographic information available for Great Lakes. Learn more about schools near Great Lakes complete with ratings and contact information. Browse through the top rated businesses in the most popular categories Great Lakes has to offer.